Renovations to the Charlotte Branch of the Federal Reserve Bank included arrays of anti-ram bollards stretching two sides of a full city block in downtown Charlotte. The city’s underground utilities adjacent to the street rendered conventional bollard systems impractical. 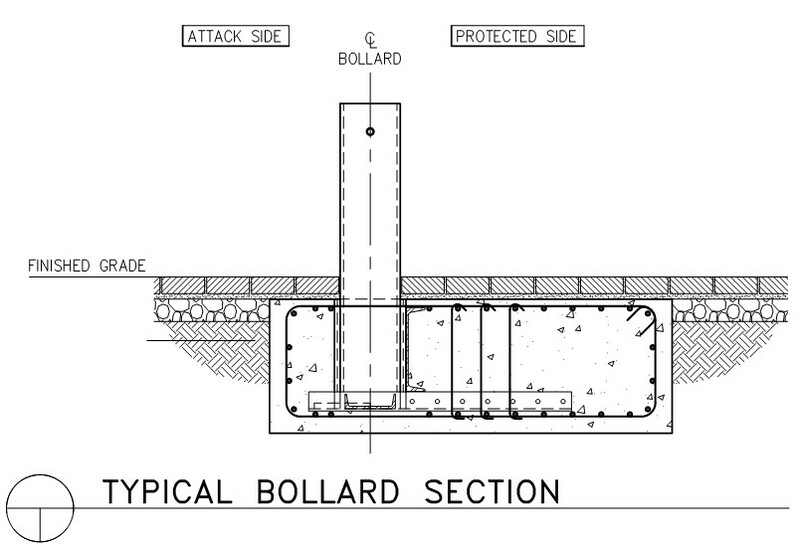 As a consultant to a security construction specialty contractor, custom bollard systems were designed and detailed for an equivalent K12-rated bollard, with the pre-approved U.S. Department of State fixed bollard system as the basis of design. Site requirements specified the integration of tree planters, uniform bollard spacing, and sloping sidewalks along the perimeter of the building.